Politics are hard: every so often, there's a mass-shooting and Congressmen have to comment on it, despite having collectively taken $3,782,803 in campaign contributions. What's a Congresscritter to do? Why, there's always "Thoughts and Prayers." 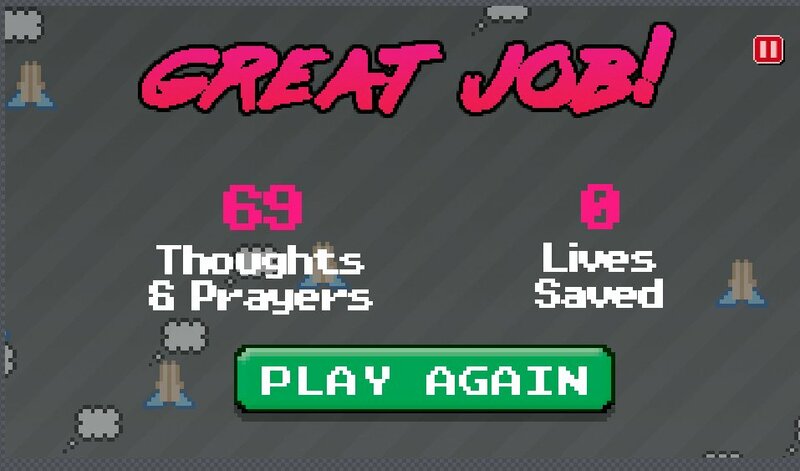 Thoughts and Prayers: The Game is an eerily accurate Congressional simulator that puts you in charge of a Congressional Twitter/Facebook account, doling out thoughts and prayers as fast as you can WASD them, until all the mass-shootings in America have been thought and prayed out of existence.